Nite Owl, the original inspiration for Batman. Rendition from the latest Watchmen movie. Nope. 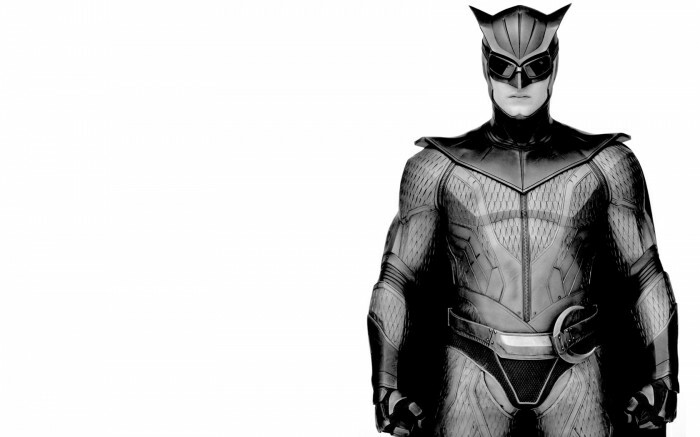 Nite Owl was based on Blue Beetle. Pretty much all the characters in watchmen were based on old Charlton Comics character that were acquired by DC. For instance, Rorschach was the Question, and DR Manhattan was based on Captain Atom. Also Batman predates the Blue Beetle. The primary inspirations for Batman were Zoro and The Shadow. although I have yet to find a reference, do ya think “the tick” was loosely based/parodied from “blue beetle” ? Also, i’d call him the goddamn owlman. The only similarity I recall is the fact that they’re blue and superheroes. Blue Beetle is similar to Batman with a few exceptions. He relies a little more on themed equipment, and he’s not as dark and broody as batman. You forgot one: Both based on insects. No they’re not. Ticks are arachnids. So they are both based on arthropods. Are two people at your keyboard? Am I the only one that read this knowledgeable corrective comment by sambo78 in the voice of the comic book guy from The Simpsons? I read my own posts in that voice.